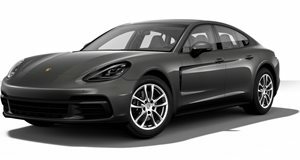 It will cost around the same as a base model Panamera and look a lot like the concept. Back in 2015 at the Frankfurt Motor Show, Porsche presented the Mission E concept sedan to the world as the brand’s first foray into the EV segment. Fast forward two years, and the electric concept car made another appearance at this year’s Frankfurt Motor Show where Porsche confirmed that the production model is entering the final engineering stages and is expected to launch before the end of 2019 to take on the Tesla Model S. Car has learned from company boss Oliver Blume that the Mission E will cost around the same as the entry-level Cayenne. At around $85,000, that would place the Mission E between the $79,500 Tesla Model S 75D and $99,000 100D, though it seems likely that more variations of the Model S will be available in 2019. Blume confirmed to Car that the project is on schedule, and that prototype models will be undergoing public testing too, so it shouldn’t take long before spy photos and videos start to emerge. “We are in series engineering phase,” Blume told Car. He also confirmed that the final production Mission E will look a lot like the concept unveiled in 2015, albeit with some changes. “It is very close to what you saw two years ago at Frankfurt. It will be exciting but a bit different from the concept,” he said. Inside, the cabin features high-tech holographic instruments, which could make it into the production model according to Car. Porsche intends to offer the production Mission E with multiple powertrain options, which are “likely” to use existing Porsche model badges like the S and GTS. Different bodystyles could also join the line-up if the Mission E is a success. When it was revealed as a concept, the Porsche Mission E debuted with an all-wheel-drive electric powertrain producing 590 horsepower, and achieve a 310-mile range on a single charge. Not bad for an EV that Porsche claims will reach 62 mph in 3.5 seconds and lap the Nurburgring in under eight minutes.